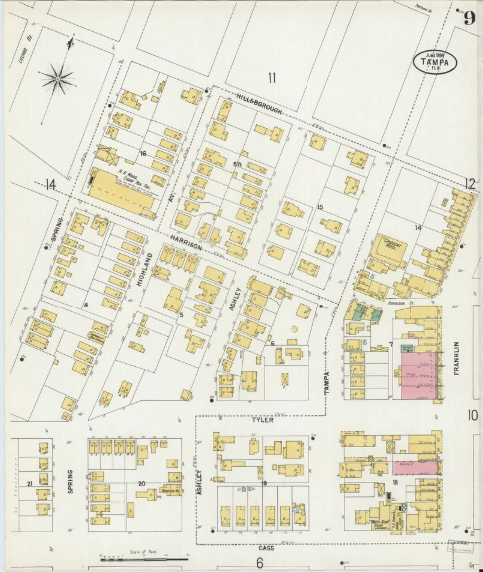 What a great aid the Sanford Fire Insurance Maps can be in doing your family history research. 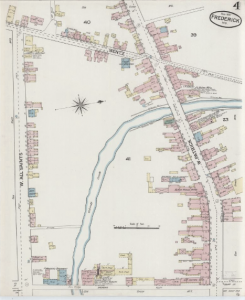 The U. S. Library of Congress has these maps in digital format and are searchable. Currently there are over 25,000 sheets from over 3000 city sets online in the following states: AK, AL, AZ, CA, CO, CT, DC, DE, FL, GA, ID, IL, IN, KY, LA, MA, MD, ME, MI, MO, MS, NC, ND, NE, NH, NJ, NV, OH, OK, PA, SD, TX, VA, VT, WY and Canada, Mexico, Cuba sugar warehouses, and U.S. whiskey warehouses. There are over 11,000 maps from 1800 to 1899 and over 5,200 for the years 1900 to 1999. 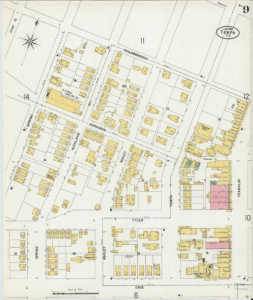 With color codes and letters such as ‘D’ for a dwelling (house) and ‘S’ for a store it can really help place where your ancestors lived or had a business. When searching the collection use the search boxes in the upper right corner. Try different town names or the county name or even the state name, it will just be searching but at least limited to the state in the search. If the town had a different name in the 1800s, try that first. For any medium, to large town, there will be several pages of maps to completely cover the city. Smaller towns may only be one to two maps. Photos: Tampa, FL in 1890s; and Frederick, MD in 1887.